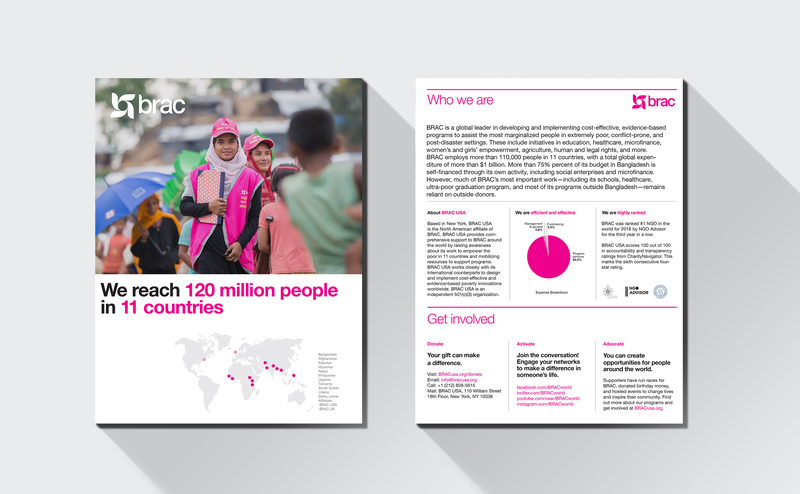 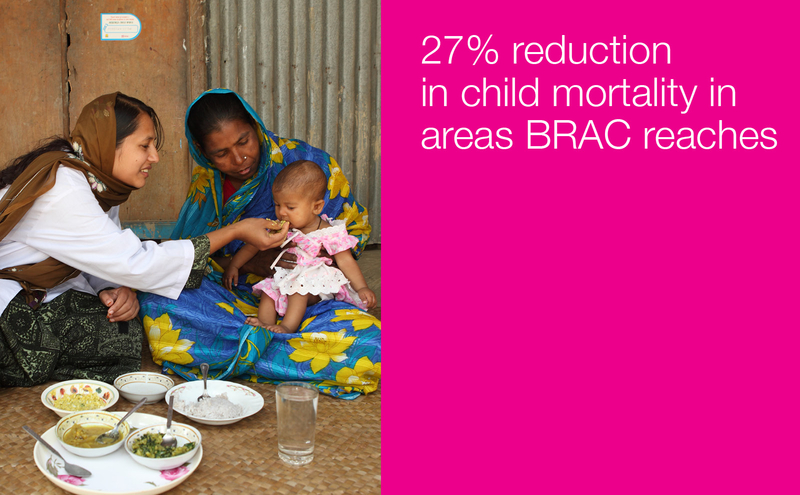 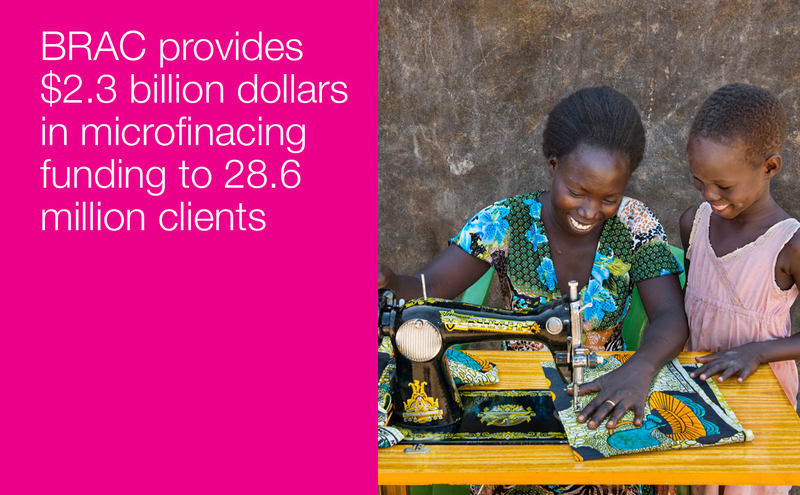 BRAC is an international development organization dedicated to spreading solutions to poverty worldwide, and the #1 ranked NGO in the world according to NGO Advisor. 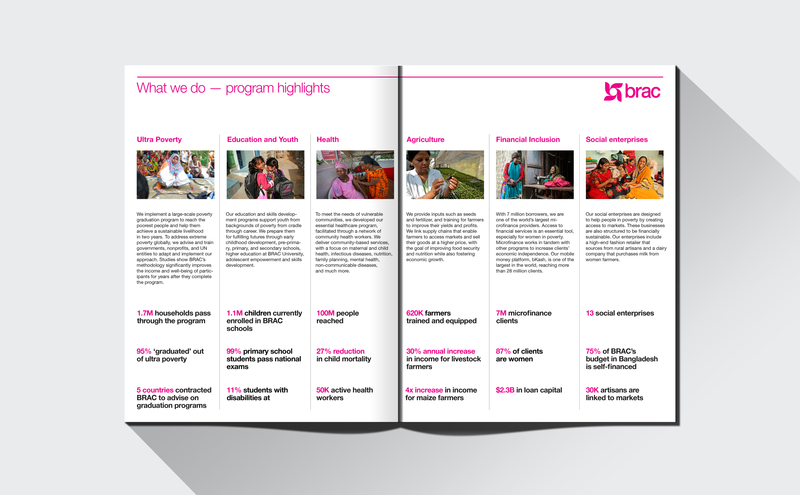 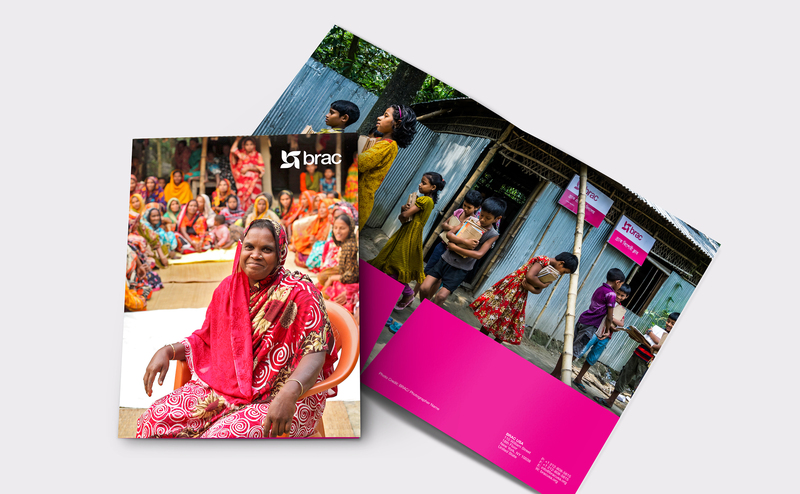 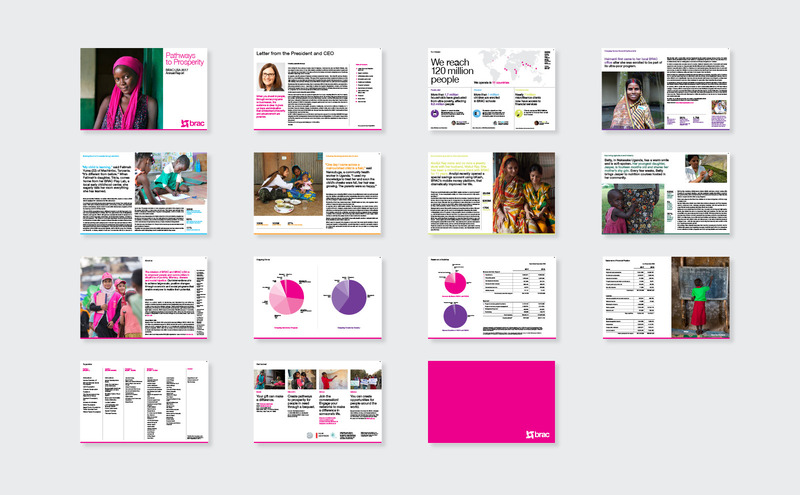 We created a refined, impactful annual report targeted to share their incredible mission and impact with stakeholders and potential donors. 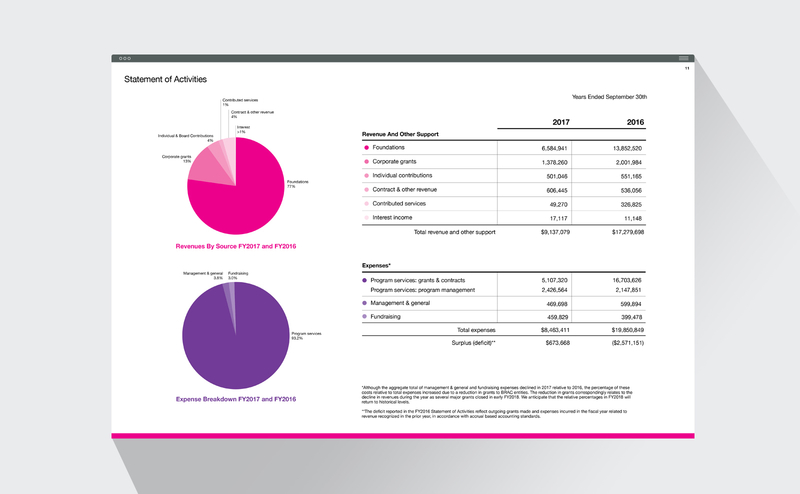 The outcomes were a comprehensive digital report, a one-sheet summary and a pocket folder.